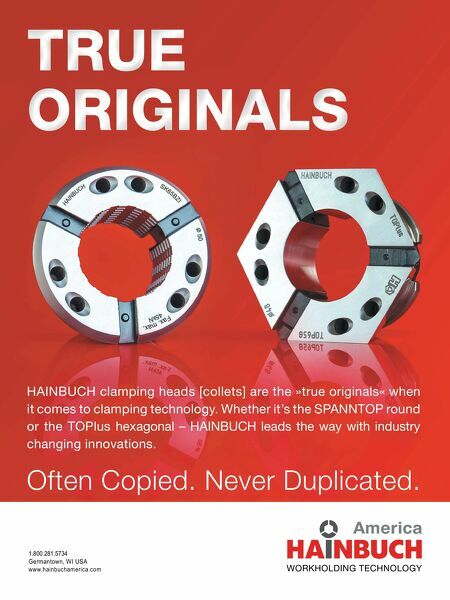 1.800.281.5734 Germantown, WI USA www.hainbuchamerica.com TRUE ORIGINALS HAINBUCH clamping heads [collets] are the »true originals« when it comes to clamping technology. 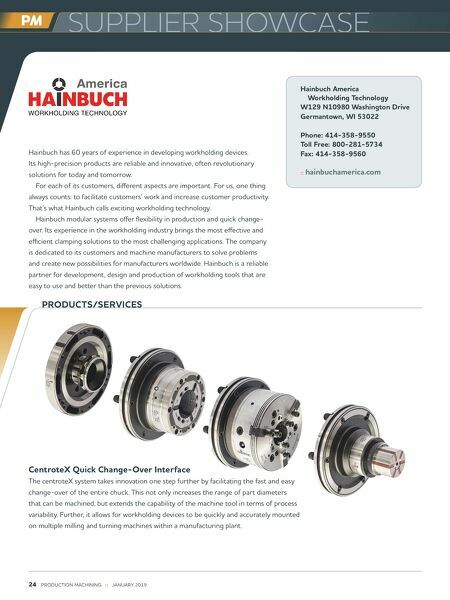 Whether it's the SPANNTOP round or the TOPlus hexagonal – HAINBUCH leads the way with industry changing innovations. Often Copied. Never Duplicated.